Elizabeth Noreika is leaving WHDH-TV NBC 7 in Boston for a new opportunity in her hometown of Cleveland, New England One has learned. Elizabeth will be joining WJW-TV FOX 8 in Cleveland, OH as an anchor for the stations 7pm newscast. "Elizabeth is a wonderful person and there's no one classier" WHDH news director Linda Miele said in an email. "We wish her all good things in the future!" Elizabeth joined WHDH in January 2015 as an anchor of the the weekday 4pm, 4:30pm & 5:30pm newscasts and a weeknight reporter. Most recently, she has been anchoring the weekend evening news, and reporting during the week. 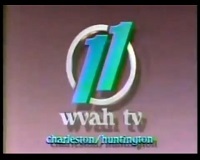 She came to WHDH from WCHS-TV ABC 8 & WVAH-TV FOX 11 in Charleston, WV where she spent almost 8 years as an anchor. There, she was a main anchor of the stations 5pm, 6pm & 11pm newscasts and also contributed to the stations 10pm broadcast by producing and introducing a consumer segment. Prior to that, she was a weekend anchor/reporter at WOAY-TV ABC 50 in Oakville, WV. She started working at WOAY two weeks before graduating college and says that her experience was "pretty much like graduate school, throwing me out into the field to learn for myself the ins and outs of reporting." Elizabeth has been honored by the Associated Press as well as the West Virginia Broadcaster's Association for her anchoring and reporting. A native of Huntsburg, OH, Elizabeth is a graduate of Ohio University where she studied political science and government/communications. Her last day at WHDH is March 18.